Is this chapter in our history drawing to a close? Eva Orner is an Oscar winning documentary maker. Her documentary Chasing Asylum was released in April 2016. It is compelling viewing and every Australian should see it to appreciate the inhumanity we are sponsoring at Manus Island, PNG and at Nauru. My hope is not only to raise awareness but to pique enough interest to get people to watch the film and buy her book. I am hoping and praying that Australians individually and collectively can rise against our offshore detention policies. This is my fifth and final blog on the book and film. Australia’s policy is that those asylum seekers arriving by boat after 19 July 2013, will not be settled in Australia, under any circumstances. As such off-shore detention is indefinite detention. Australia’s policy was not always so inhumane. 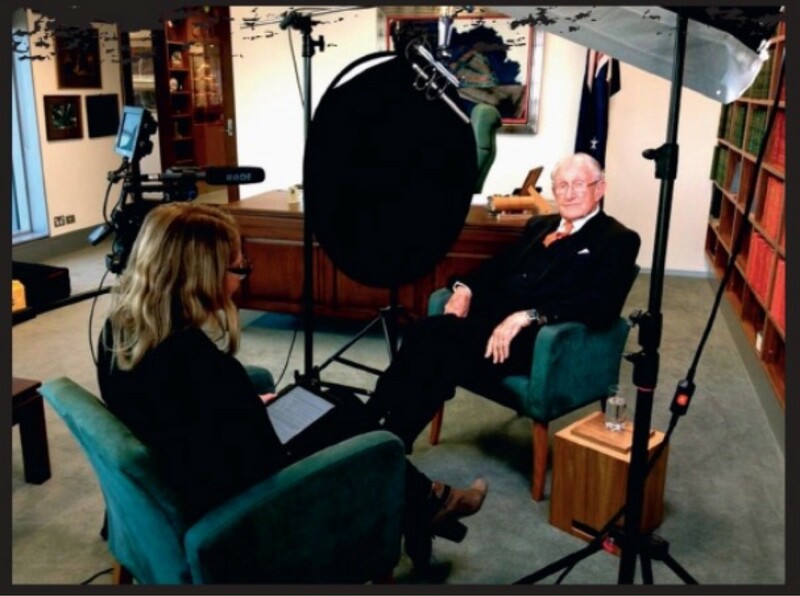 In the film Orner interviews former Prime Minister Malcolm Fraser, 4 months before he died. 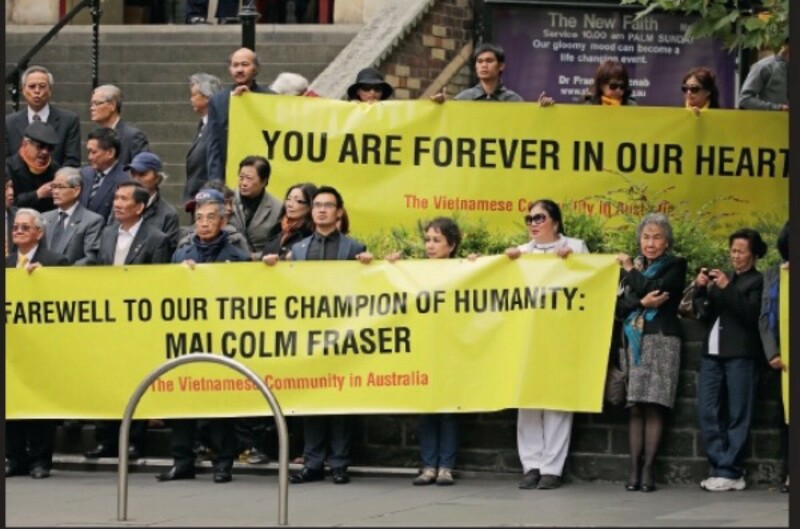 Fraser’s government was responsible for processing and resettling 10,000s of refugees fleeing Vietnam in the 1970s and 1980s. Fraser recounted that boats carrying Vietnamese arrived in Darwin. He organised food and shelter for them. More arrived. In co-operation with Malaysia he organised to process Vietnamese refugees and then fly them to Australia for resettlement. Processing took a month or two. Fraser says “”It was the right thing to do”. Australia’s involvement in the Vietnam War created a moral obligation. As a result of this policy we have a vibrant and loyal Australian-Vietnamese community which adds to our economy, to our diversity, to our culture in many productive and beneficial ways. The current Governor of South Australia, Hieu Van Le, arrived on one of the first boats from Vietnam. Dr Munjed Al Muderis was an Iraqi refugee who arrived by boat and spent some time in detention. He is now the country’s leading surgeon in prosthetics and reconstruction and specialises in replacing limbs for returned soldiers. Vincent Long Van Nguyen, bishop of Parramatta and former auxiliary bishop of Melbourne arrived by boat from Vietnam. Why are we turning our back on these people? In the last two weeks the Federal Government announced it was closing Manus Island. This is necessary as the PNG Supreme Court declared the detention camp unconstitutional (refer to my earlier blog on this decision). The bad news is the the government proposes to resettle the 1313 asylum seekers at Manus on Nauru. Among those seeking asylum on Manus is an Afghani interpreter who assisted Australian troops in their work in Afghanistan. His wife and children were killed by the Taliban for his involvement with the Australians. He fled. All we can offer him is indefinite detention. But I feel the tide is turning. Public pressure is being felt in Canberra. We cannot maintain this ridiculous policy. Let’s hope it’s days are numbered.